MERRY CHRISTMAS EVE EVERYONE! :) I am currently at my Mom's house and it feels GREAT! Anyway, I am going to make this quick because I have to go get ready for Christmas at my Mamaw and Papaws. I hope all of you have a VERY MERRY Christmas! Stay safe on those roads too~ It's raining here and I wish it was cold enough to actually SNOW...but yeah, that probably won't happen. I also wanted to post this "recipe" days ago but I didn't actually bake them until about an hour ago. Okay, Okay. The recipe is actually a JOKE! 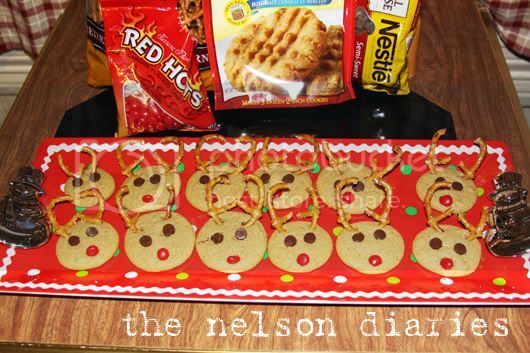 I make these every Christmas :) I love them and they are a huge hit with the kiddos. awww wayyyyy to cute! :) They look yummy! 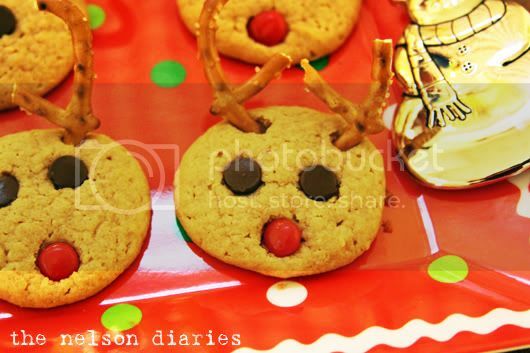 I will have to make them next Christmas. Have a merry chrismtas! Merry Christmas to you too! I told my mom about you and she couldn't believe you spelt your name the same. She said you probably pronounce it correctly, though (she says I say my own name wrong...embarassing) so I have to ask...emphasis on the Shay or the lyn? Hope you and the hubby had a fabulous Christmas! The recipe for cookies is def. going in my recipe box for next year! Love it & your blog! Hope you check me out too! I am a newlywed also! !